Trusted news from your connections. Blog Link automatically pulls in the latest blog posts from around your network so you can be informed by sources you trust. Stay up to date on the issues that matter to you from the people that matter to you. Promote your blog and develop your personal brand. Everyone knows blogs are the best way to cultivate your personal brand. 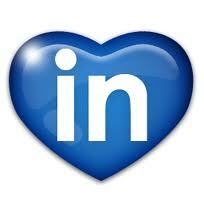 Now you can share the thoughts and insights on your blog on your LinkedIn profile. 110% complete profile. 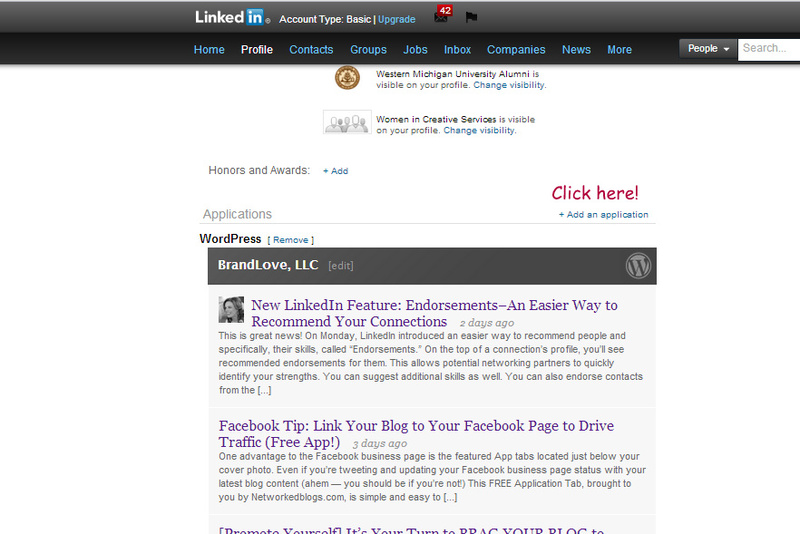 Blog Link enhances your LinkedIn profile and with the latest news from your blog. Your connections can see your latest thoughts as soon as you update your blog. Support for all bloggers and all platforms. Blog Link supports TypePad, Movable Type, Vox, WordPress.com, WordPress.org, Blogger, LiveJournal, and many more. And it is Powered by TypePad technology, the premier hosted blogging service. It’s as easy as that! As always, feel free to connect with me on LinkedIn if we’re not already connected. If you’re not already a BrandLove, LLC Facebook Fan, please “like” my page. There are lots more social media tips and information. My fan page is updated daily. Thank you for your support! thank you – excellent information as always! Thanks so much for the feedback Susan! I appreciate you taking the time. I tried using blog link to connect my wordpress blog to my companies page on linkedin but couldn’t see how to do that. If you have any advice on how to connect my wordpress blog to my company page on LinkedIn I would really appreciate it! Hope that helps! Let me know if you are successful. Unfortunately it looks like that article is from 2011 and LInkedIn has removed the “Company Blog RSS Feed” section from within the backend of the LinkedIn company page. No problem Steve. That’s too bad, maybe LI will add a blog app in their next round of feature updates. On a side note, I manually post my blog articles to my company page. I try to have different articles on my company page than on my personal profile page and my other social channels so there’s not too much repetition. Have a great weekend!